Hoka One One F-Light 7L Pack is a light-weight hydration pack that will allow you to carry water and essential accessories during your trail run. The pack is extremely efficient and lightweight. 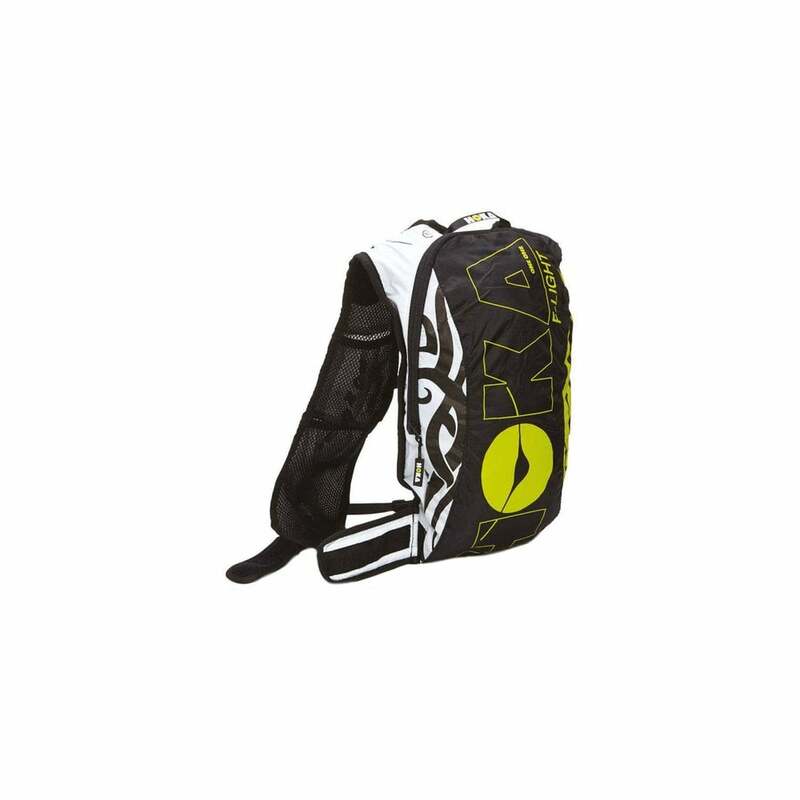 The pack features a bladder compartment and eight separate variously sized pockets for organized storage. Additionally, adjusting this pack to your liking is made easy with Large anatomical front straps with lateral velcro adjustment for a perfect body fit, chest strap with integrated whistle and elastic waist belt. Equipped with the AirBack ventilation system, the F-Light 7L is designed for breathability and comfort.